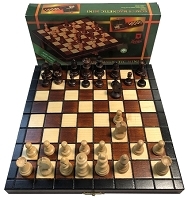 Wooden Magnetic Chess Set - 10 1/2" Folding Board - 2" King - Brown "
Polish Travel Chess Set. 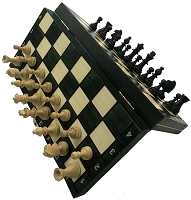 2" High King Wooden Magnetic Travel Chess Set. 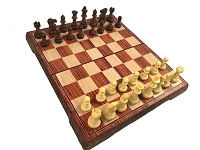 Chess board is 10 1/2" x 10 1/2" - Brown. 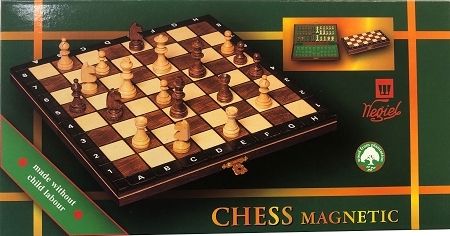 Squares are approximately 1 1/4"
Wooden Magnetic Pieces store inside the board. 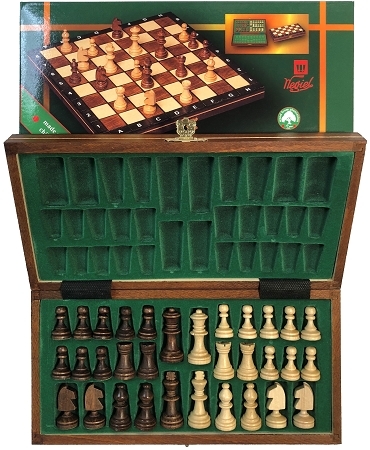 Very nice magnetic travel set. 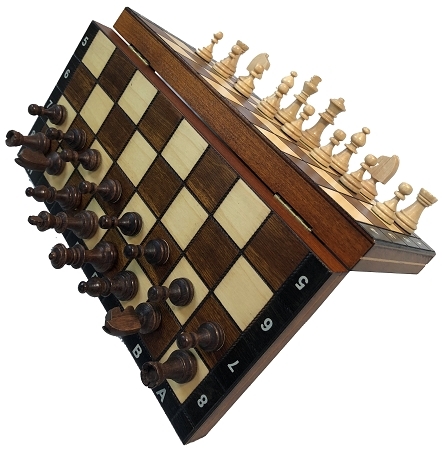 This is our most popular wood magnetic chess set. 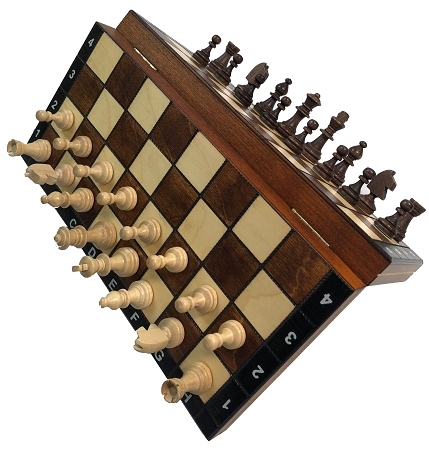 The magnets keep the wood chess pieces in place if the board is moved. 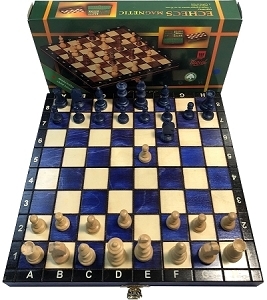 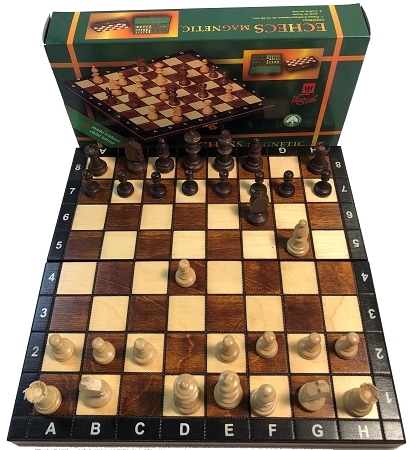 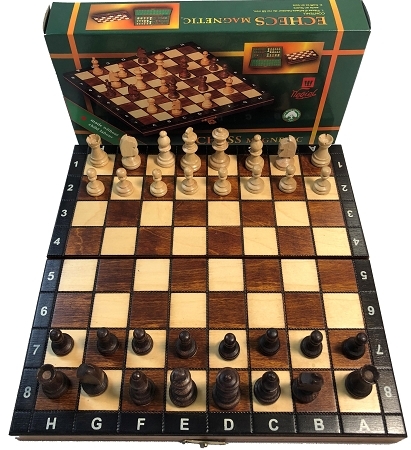 This wood travel magnetic chess set is great to keep in the backpack or briefcase. 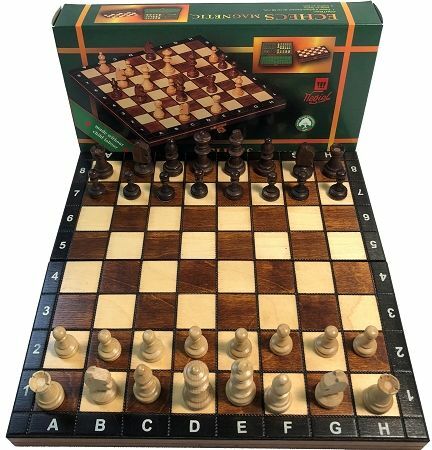 It has the algebraic notation on the edges, so this chess set is a great one to do your studying with. 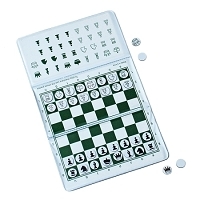 Checkbook Size Folding Magnetic Chess Set 5.75"